Renting your own private villa at one of Mexico’s luxury resorts offers you the best of both worlds. While enjoying the services and facilities of a world-class resort hotel, you will also relish the comfort and privacy of your own villa. Instead of staying in one or more rooms in a resort, booking a luxury villa gives you the option to spread out–which is ideal for families or groups. Villa guests enjoy the comfort of their own private sleeping areas, yet common areas, such as open-air livings, rooftop decks and libraries, create social spaces for your group to gather. 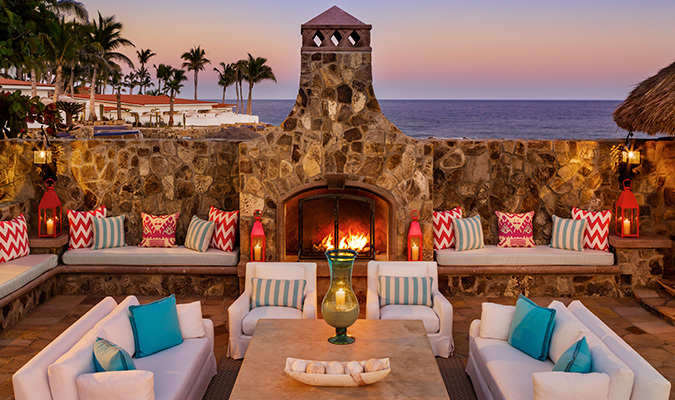 The 10,500 square-foot Villa Cortez at the splendorous One&Only Palmilla Resort in Los Cabos boasts a gorgeous outdoor gathering area that rivals most indoor living rooms. Villa guests won’t have to lift a finger during their Mexico vacation. 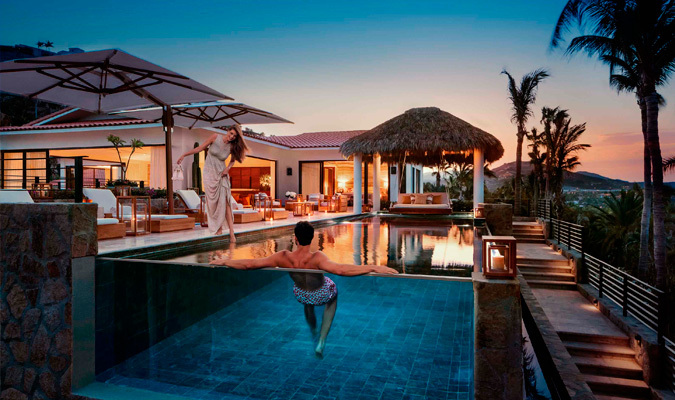 Not only do Journey Mexico villas offer impeccable service from chefs, maids, and butlers, but villa guests have access to on-site amenities within a luxury resort, such as pools, acclaimed restaurants, golf courses, state-of-the-art fitness centers and renowned spas. Since everything is taken care of, you can really settle in and relax during your vacation. 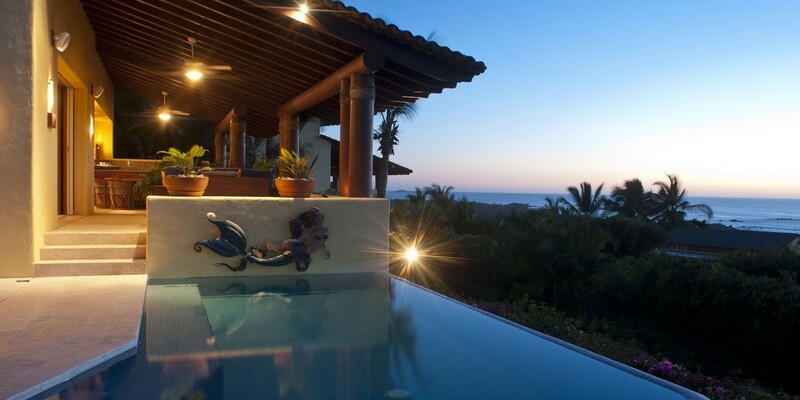 Built up on a hill with incredible views, Villa Turin at Four Seasons in Punta Mita features a private infinity pool. The beauty of staying in a resort villa is that you get to choose the environment you want to be in at any given moment, whether that is party time at the resort’s pools, family time in your villa’s theater or alone time on one of your secluded patios. You also have the option of dressing for dinner at one of the world-class restaurants or staying in your bathing suit while you dine on the terrace overlooking the ocean. And nothing says relaxation like sipping your morning cup of coffee in your pajamas with your toes in the infinity pool. If entertaining guests is your thing, a private villa gives you a stunning place for a family reunion, birthday party or corporate event. Some of the villas we offer are even sizeable enough to host a destination wedding. With white sand and crystal-blue water as the backdrop, your guests may never want to leave. 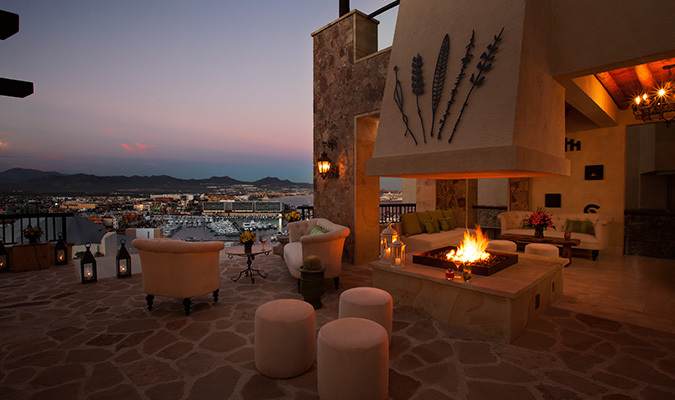 At Casa Bella Vista Guest House at The Resort at Pedregal, you can host a 60-person cocktail reception or a 30-person dinner party. 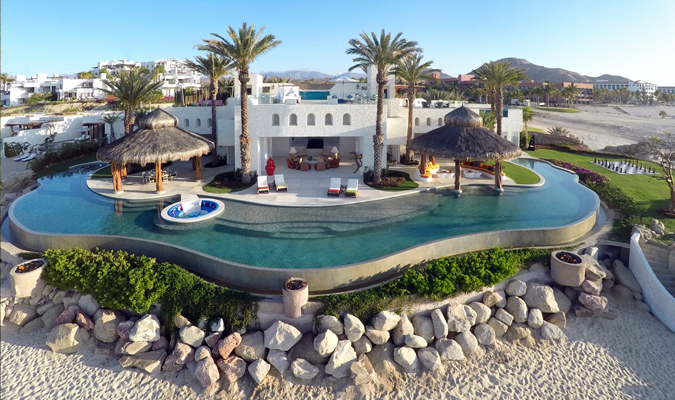 If you are looking for a truly incredible large villa, the Ty Warner Mansion is an exclusive 28,000-square-foot beachfront mansion with panoramic views over the Sea of Cortez. Affiliated with Las Ventanas al Paraíso resort, this breathtaking accommodation has everything you could want. The resort also has the new Signature Villas which are elegant spaces with one, two or three bedrooms and direct beach access. 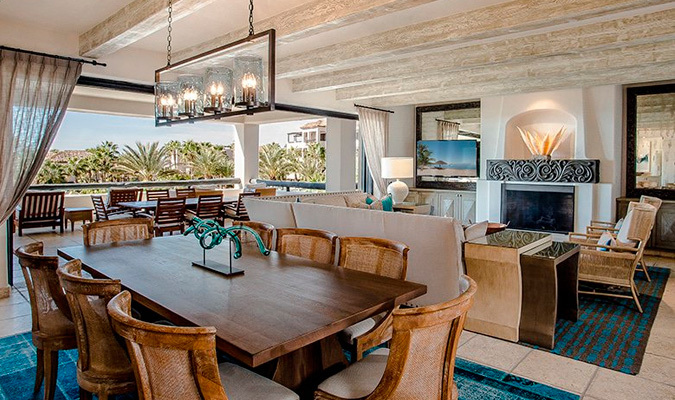 Also in Los Cabos are the newly revamped Villas at Esperanza resort. The villas offer elegant options for indoor/outdoor spaces with one to four bedrooms. The Villas by Journey Mexico portfolio features many villas that are affiliated with resorts in almost every destination we offer. Some of our favorites include Yuum Ha at Esencia, Casa La Playa at Cuixmala, Casona Jaguar at Imanta in Punta Mita and the brand new residences at Rosewood Mayakoba.